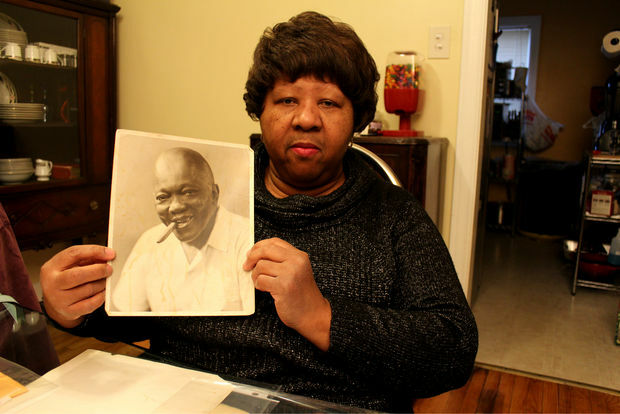 CHICAGO — Growing up, Linda E. Haywood didn’t know much about her great great Uncle Jack. It wasn’t until Haywood turned 12 that her Uncle Sonny uncovered the truth: "Did you know that you had an uncle who was the first black heavyweight champion of the world?" That’s when Haywood learned she was the great great niece of Jack Johnson, the bad boy boxer Muhammad Ali once called “the greatest” and a man Ken Burns profiled in his documentary, "Unforgivable Blackness: The Rise and Fall of Jack Johnson." 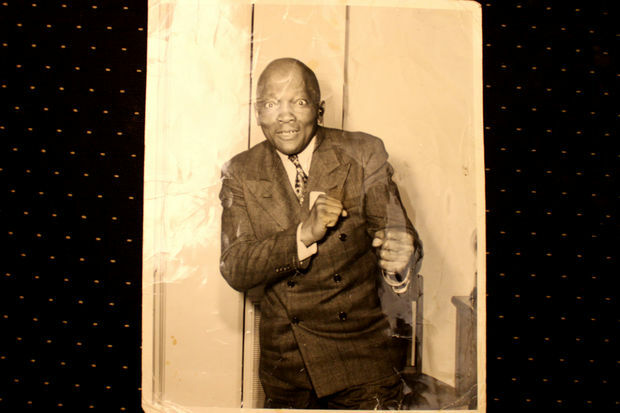 Johnson, who died in 1946, spent nearly a year in prison in a racially-motivated conviction of the Mann Act, brought about because the boxer had a white girlfriend. After her Uncle Sonny told her she was related to Johnson, Haywood remembered walking through the halls of her grammar school during Black History Week — "Now we get a month!" — and seeing a photograph of an imposing fighter hanging on the wall. "He was in a boxing stance, and it said 'Jack Johnson: First black heavyweight champion of the world,'" Haywood, 61, said, sitting at her kitchen table in her Wrightwood home, where she lives with her retired husband, Edward. "I never knew the man was my uncle." Haywood never met her great great uncle, but Johnson was always a part of her life. Though he died at the age of 68 after a car accident more than 70 years ago, Johnson never left conversations in Washington. His name was among the pardon requests sitting before President Barack Obama before he left office earlier this month. Traveling with his white girlfriend, Johnson violated the Mann Act, which prohibited "transporting women across state lines for immoral purposes." Obama did not grant that pardon before relinquishing the White House to Donald Trump. "I am deeply disappointed at that," Haywood said of Obama's inaction. A photo of Jack Johnson taken in Paris, France. Johnson’s trouble began in the summer of 1912, when he met Lucille Cameron at his Café de Champion, a mixed-race club he opened earlier that year at 41 W. 31st St. Though Johnson first hired Cameron as his “stenographer,” she has been described as an 18-year-old white prostitute from Milwaukee. The two were often seen in public as a couple. Old photos show Cameron on Johnson’s arm, according to "Unforgiveable Blackness" by Geoffrey C. Ward. Without fear, Johnson flouted the decade’s norms. 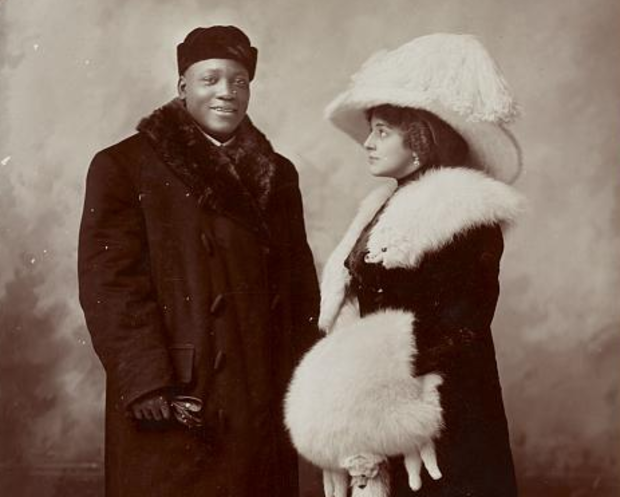 In 1912, it was unheard of for a black man to look at a white woman, let alone marry one. Jack Johnson married three. Whites were said to have followed him around Chicago and threatened to lynch him. Even some black newspaper editors were reluctant to defend him. The son of former slaves, Johnson owned a huge home at 3344 S. Wabash Ave. He did what he wanted when he wanted, zipping around the city in any number of expensive sports cars. He even owned a pet leopard. Alerted by a Chicago reporter that her daughter was "under the influence" of Johnson, Cameron's mother came to Chicago and told a curious press that Johnson was a kidnapper who "has hypnotic powers, and he has exercised them on my little girl." "I would rather see my daughter spend the rest of her life in an insane asylum than see her the plaything of a n-----," the mother said. In 1913, police arrested Johnson. Though Cameron refused to testify against him, another woman was used to eventually convict Johnson. The boxer fled Chicago and ended up in Montreal. Cameron, by then his wife, was waiting for him. Jack Johnson, chewing on a cigar in Paris. Seven years later, after living in exile all over the world, Johnson surrendered to U.S. authorities and spent 10 months in prison. When Johnson was released from the federal prison at Leavenworth, Kan., Cameron was waiting, though four years later she filed for divorce. Johnson died in 1946 at the age 68 after a car accident. He is buried in Chicago's Graceland Cemetery near his first wife, Etta Duryea, a white socialite he met in 1909 in Brooklyn. Attempts to secure a pardon to clear Johnson's name have been described as a long shot. For one, because the Justice Department investigations on pardon requests are lengthy and complex, they are typically limited to people who are alive. It’s not the first time that a movement toward that pardon has lost steam. A number of unsuccessful Congressional efforts over the years have been made to officially clear Johnson. According to the Washington Post, language recommending Johnson be pardoned was included into a 1,000-page education bill. A change.org petition started by another former champion, Mike Tyson, argued that a pardon would be "righting the legacy of our great country." In July, U.S. Senators John McCain and Harry Reid asked Obama to pardon him. "Jack Johnson’s reputation was ruined by a racially motivated conviction more than a century ago," wrote McCain earlier this month. "Johnson’s imprisonment forced him into the shadows of bigotry and prejudice, and continues to stand as a shameful stain on our nation’s history." 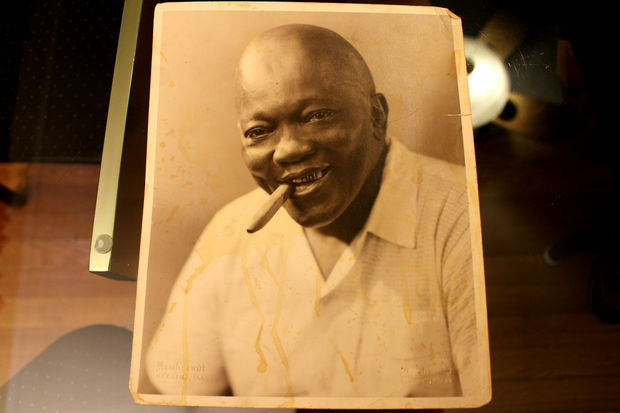 In a safety deposit box, Haywood keeps an envelope full of weathered photos showing Johnson chomping on a cigar or posing with his hands up like he's about to step forward and fight. They are her most prized possessions. Haywood's disappointed that Obama did not grant her Uncle Jack a pardon and she's not sure that President Donald Trump will do so, either. Though she says she's usually a "very optimistic" person, in this case, "I don’t look for anything going forward." "I guess it’s just going to languish forever. I don’t see any other hope or any other avenues. Not anymore,” she said.